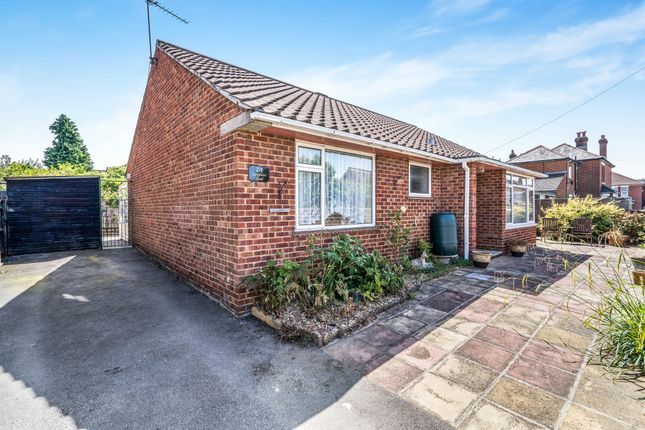 ** detached bungalow ** 2 bedrooms ** entrance porch ** entrance hall ** lounge ** dining room ** kitchen ** conservatory ** bathroom ** driveway parking ** The property is situated close to all local amenities with good bus routes to Woolston, Bitterne and Southampton City Centre. An early viewing is highly recommended. Window to front elevation, radiator, airing cupboard, storage cupboard, laminate wood flooring, smooth finish to ceiling. Double glazed bay window to front elevation, electric fire place, radiator, smooth finish to ceiling. Double glazed window to side elevation, radiator, carpet, smooth finish to ceiling. Windows to rear and side elevation, radiator, door to garden. Window to rear elevation, radiator, carpet. Window to front elevation, radiator, carpet. To the front of the property there is a driveway providing off road parking, side pedestrian gate to rear garden, 2 side gates, wood storage, patio and lawn area, garden shed, flower and shrub borders.